10 mouthwatering, juicy bears that pack a punch. Goldbuds’ original recipe will make you wanting more. Each bag contains 10 bears @ 15mg THC for a total of 150 mg THC. These are the SOUR version. Purchase this product now and earn 18 Goldbucks! 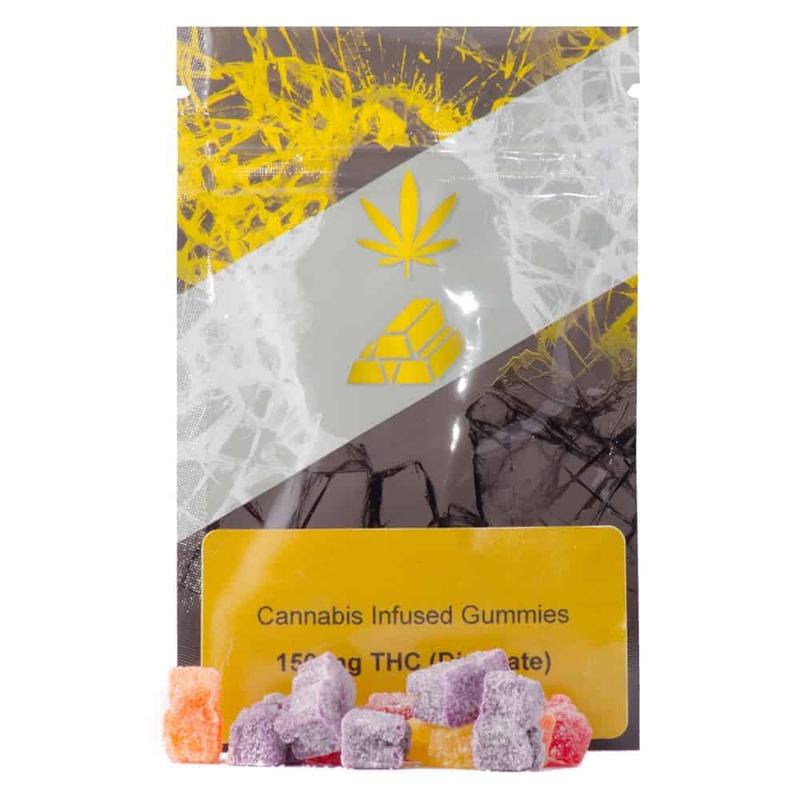 14 reviews for "Goldbuds – SOUR Gummies 150mg THC"
These gummies are sooo juicyyyy! I keep eating them everyday cuz theres so many different flavours in the bag. Sour raspberry and the blue ones are sooo good. Also gives a nice relaxing high! These are delicious! I was going to order more, but you’re out ha ha. Soft and chewy, good flavor, and a good buzz. These are worth every penny. Yummy gummies, it’s hard not to eat them all at once! GREAT product. Tasty and very effective. I found 2 nice and relaxing. Might try 3 next time. My boyfriend has a lower tolerance and got a nice buzz off of only 1. Please keep making these! These are lovely, great taste great high. Me and my wife had two at a hockey game (figured eat gummies cause beers are over priced) and it was a nice high at home on a different day we had three each we felt we can handle more and it was a great high. I probably wouldn’t have more then 5 at once. Super great value! I’m a big guy, 6’3, 210lbs. I have yet to take a full gummy. I take half mid-afternoon on weekends to mellow out. I’ll take a quarter gummy on way home after work. Half a gummy is enough to get me feeling a bit uplifted and “buzzy”. Felt energized. Quarter gummies are just enough to take the edge off. Wow, these are great gummy’s! Wonderful flavors and very potent. BE CAREFUL, and be patient. I am a long time consumer and I only ate one and almost made the mistake of eating a 2nd too soon. Great buzz and long lasting. I will be ordering again once I get thought the first bag! Bought these to supplement my sleeping medication. They work far better and taste amazing. Ordered these to supplement my sleeping medication. These work far better then anything I’ve ever used to help me sleep. Taste amazing and inexpensive. Thank you!